Remember when people used to churn their own butter? Yeah, neither do we, but it sure did look cool on all those TV shows and movies we've seen! It sort of makes us want to don one of these bonnets so we can get that frontierswoman look, without having to worry about dying of dysentery – ick! We'll look like strong women who know how to provide for our families. 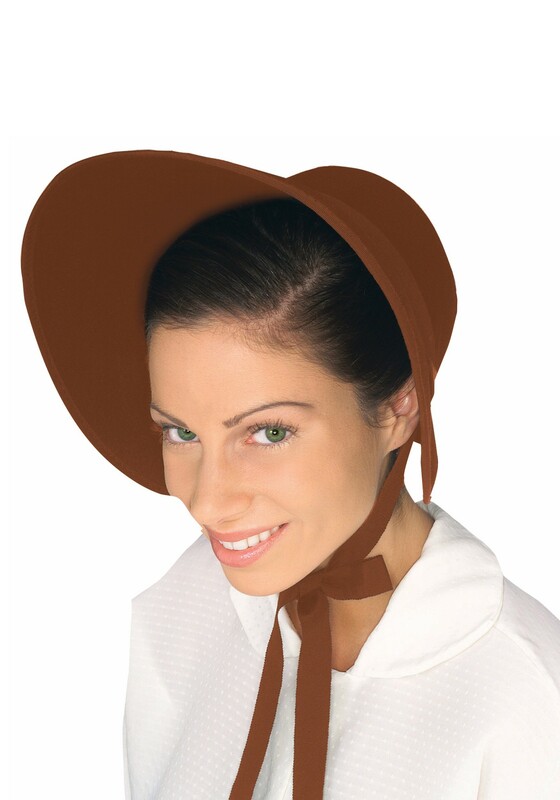 If you are going for that classic, pioneer look, complete your costume with this Brown Felt Bonnet. While the chin ties and sturdy construction make the hat secure, the ribbon also adds a bit of flair, but you can also feel free to add extra embellishments if you choose. While it might not be a 100 percent historically accurate, it sure does beat having to churn your own butter or trekking across country in a horse and buggy!